of Pittsburgh in the Oakland section of the city. O'Driscoll, Bill. "Painted Into a Corner. "Museum and library workers are looking for better treatment at work. For many of these cultural-industry workers, the issue came to the forefront when some non-profit employers cut employee hours, to avoid the expense of complying with the Federal Patient Protection and Affordable Care Act, thus denying these part-time workers the opportunity to purchase discounted health care insurance. The newspaper article notes that both the Carnegie Museum and Carnegie Library systems in the city now restrict part-time workers to 25 hours per week, to avoid the 30-hour-per-week threshold which would require compliance with the Affordable Care Act. 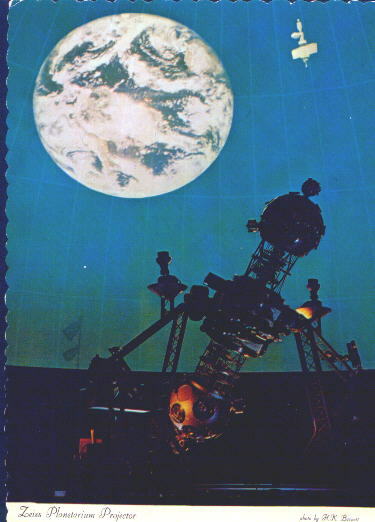 After having worked for 10 years at Pittsburgh's original Buhl Planetarium in Allegheny Center, I do understand and sympathize with the museum and library workers mentioned in the article. Low wages, few benefits and part-time work is typical in most nonprofits. As a Library Trustee for the Andrew Carnegie Free Library and Music Hall in Carnegie during the late 1990s, I can tell you that many nonprofits scrape by from year to year, often raising just enough money to keep the doors open. Even nonprofits with endowments took a big hit during this last recession, with the value of their endowments declining, as well a decline in the wealth of their major donors. Just last week, the [Pittsburgh] Post-Gazette reported that the Carnegie Science Center's latest $55 million expansion plan may be “extremely ambitious and unachievable” according to a private fundraising analysis. A decade ago, an even more ambitious, $90 million expansion plan, designed by a noted French architect, fell-through due to a lack of funds. Most nonprofits rely on some governmental funding but, particularly for non-library regional assets, private, foundation and corporate funding is critical. Such funding has been declining over several decades due to Pittsburgh's population decline and corporate consolidations, and earned revenue is limited by the audience's ability to pay. Although high staff turnover costs money, regrettably, most nonprofits have determined it is less expensive than higher staff wages and benefits. Pitz, Marylynne. "Carnegie Science Center expansion plan stumbles out of the gate"